I live in Kohukohu on the Hokianga Harbour with my husband Peter and a menagerie of tabby cats and parrots. It’s chaotic but always fun. Kohukohu is a perfect place to write. 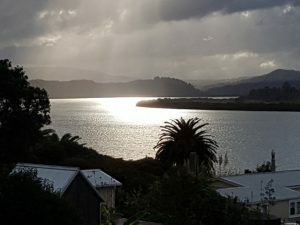 There is peace and tranquility, but the Hokianga attracts colourful people with fascinating stories to tell. What do you do when your world collapses − when the people you love fail you? 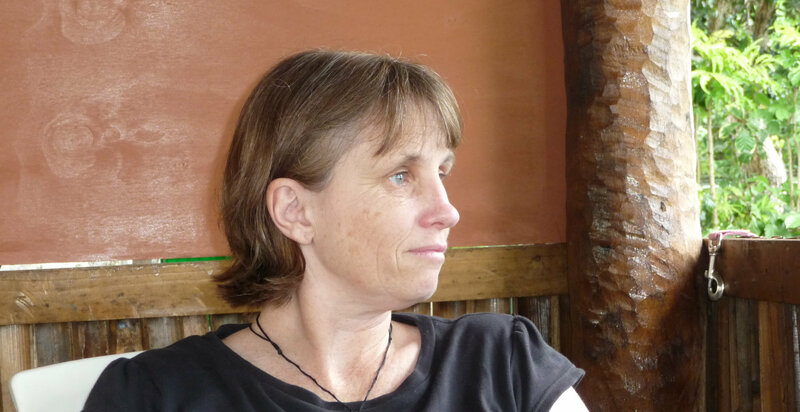 Catherine Jennings arrives in a remote New Zealand village hoping to start a new life. But she drags the past with her, plunging Chris, and his wife Anna, into a nightmare of old secrets and sudden death. Wonderful to read a story based in New Zealand, great characters, great story, a page turner, I would highly recommend. This was a very good book. Had me right from the first line. It's a touching book about people and life and relationships. You can almost feel the characters as you're reading. I love history and social history in particular. I know NZ history fairly well and write about it myself. This is a modern social history novel, with deep secrets, personal trauma and the difficulties. 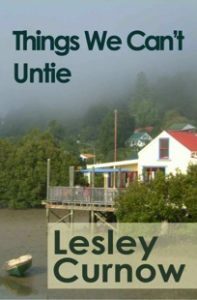 But it is also a story of love, of friendship or rural, small town New Zealand with all its quirks and interesting characters. It's not a cliched story in any way and things go wrong before the come right and they come right in the most unlikely way. Worth reading. I am sure I bought this book for my Kindle simply because of the New Zealand setting, but once I started reading I could not set the story aside. I had no idea where it was going and was surprised at many turns. It is a moving story, with sadness, laughter, romance, sweetness, frustration, an occassional sense of fear about how things will turn out, and hope. The read was a wonderful adventure. I highly recommend it. 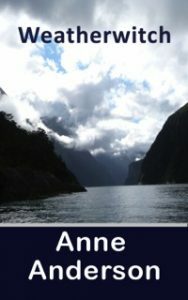 A young adult science fiction novel set in a drowned New Zealand, 500 years in the future. A stand alone sequel to Things we Can’t untie. 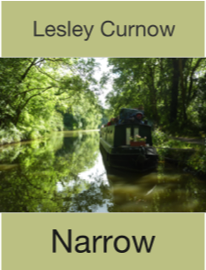 Narrow chronicles Catherine’s journey into Finns dark past on a canal boat trip with Fin’s dying father.